Prominent lawyer and civil rights advocate Mahala Ashley Dickerson was born on October 12, 1912 in Montgomery County, Alabama. She was dedicated to human rights causes and as a lawyer she often took on the cases involving the rights of women and people of color as well as issues affecting the workplace. Dickerson often accepted these as pro bono cases and found the time to mentor young minority lawyers throughout her long and illustrious career. Mahala Ashley Dickerson was born and raised in Alabama. Her father was John Augustine Ashley and her mother was Hattie Moss Ashley. Dickerson also had two sisters, Harriet and Erna. As a young girl she attended Miss White’s School, a private school in Montgomery. She met Rosa Parks at Miss White’s School, and the two quickly became friends. Both became civil rights activists although in different ways; they remained friends for life. 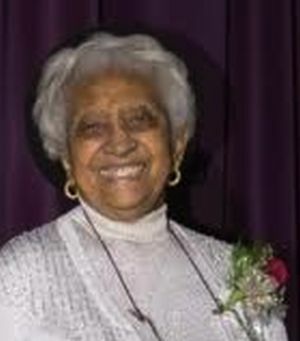 Mahala Ashley Dickerson graduated from Fisk University in 1935, and in 1938 she married Henry Dickerson. She and Dickerson had triplets: Alfred, John, and Chris. However the marriage did not last and they were divorced in 1939. She graduated from Howard University Law School in 1945. In 1946 Dickerson became the first African American woman to be admitted to the bar in Alabama. She practiced law in Montgomery and Tuskegee. In May 1951 Dickerson married Frank Beckwith and moved to Indianapolis, Indiana. This marriage also ended in divorce. Meanwhile in 1951 she became the second African American woman admitted to the bar in Indiana. Following her second divorce she moved to Alaska in 1958. Upon her arrival in Alaska Mahala Ashley Dickerson homesteaded 160 acres of land near Wasilla. In the year of her arrival in Alaska (1958) she became the first African American woman admitted to the bar in that state. Dickerson began her law practice in Anchorage in 1959. Her career was mostly undistinguished until 1975 when she won a major equal pay case concerning University of Alaska professors who received less pay because they were female. Throughout her career Dickerson won many awards and has been recognized for her outstanding work and contributions to the law, civil rights, and human rights. In 1982 she was honored by the National Association for the Advancement of Colored People (NAACP) for her civil rights work. In 1983 she became the first African American to serve as the President of the National Association of Women Lawyers. In 1984 the University of Alaska awarded her an honorary Doctor of Law degree. In 1995 she received the Margaret Brent Award from the American Bar Association for outstanding service to the profession. In 2006 she was awarded the Alabama State Bar’s Maud McLure Kelly Award. Mahala Ashley Dickerson practiced law until she was 91 years old. She died on February 19, 2007 at the age of 95 on her homestead in Wasilla, Alaska. M. Ashley Dickerson, Delayed Justice for Sale (Anchorage: Al-Acres, 1998); "EOA Links," Encyclopedia of Alabama: Mahala Ashley Dickerson, http://www.encyclopediaofalabama.org/face/Article.jsp?id=h-1443.